As Boca Raton continues to establish itself as a premiere destination in South Florida, world-renowned interior designer Steven G. is bringing his vision to Tower 155. He is also teaming up with architectural experts Vander Ploeg & Associates as well as Compson developers to deliver residences “built with integrity”. The 170-unit luxury residence tower is in the heart of Boca Raton, located at 199 E Boca Raton Rd, Boca Raton, FL 33432. Tower 155 will offer exquisite one, two, and three bedroom condo units ranging from 919 to 2400 square feet, with the latest in modern design, amenities, appliances, and community design. Each beautiful residence at Tower 155 features an open and picturesque floor plan with city, ocean, and park views. Ceilings are 10 ft. or higher in all units. Porcelain tile throughout opens up the space and enhances the natural sunlight available through the floor to ceiling hurricane resistant glass windows. Each residence in Tower 155 is ready for the 21st century; smart wiring, Wi-Fi accessible temperature and appliance controls, and smart building technologies are included in every unit. Front loading washers and dryers, large walk-in closets, and energy efficient water heaters are just some of many other standard amenities at Tower 155. Owners can select custom color schemes for cabinets, countertops, and floors as well. Boca Raton is increasingly recognized as one of the most elegant and luxurious neighborhoods in all of South Florida. 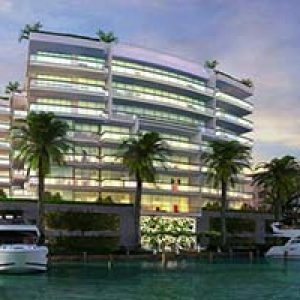 The Tower 155 luxury residences combine the interior designs of Steven G., with the most expansive city, ocean, and park views. The tower is home to 155 luxury residences in one, two, and three bedroom models and variations of those models. There are 3 separate floor plans for one-bedroom options ranging from 747 to 941 total square feet. All units are 1 bedroom, 1 bathroom models. Despite having just one bedroom, Model CC the one bedroom units provide an expansive 6×10 square foot walk in closet attached to the master quarters. The conjoined living and dining area provide a spacious area for cooking, living, and entertaining. The 15×12 Master Bedroom is provide direct access to the 13×6 foot balcony terrace area. There are 22 separate models of two-bedroom luxury residences, with additional bathrooms ranging from 2 to 3.5. The 7 2 bedroom, 2 bathroom models range from 1,148 square feet to 1,404 square feet. The 15×12 Master Bedroom contains a private master bathroom and expansive walk in closet. Two bedroom units at Tower 155 are also home to two separate balconies on adjacent sides of the building, perfect for enjoying sunlight any time of day. Tower 155 also offers 10 units with 2 bedroom, 2.5 bathrooms slightly larger ranging from 1,599 to 1,899 square feet. In addition to these varieties of 2 bedroom luxury residences, there are two 2 bedroom, 2.5 bathroom units with a full sized den, convertible to an optional bedroom or home office. These 2,046 square foot units have a access to two expansive balcony terraces and an open floor plan. There are 16 three-bedroom suites depending on the size of your family and intended use of the property. Three bedroom units start at just 1,579 total square feet. The 3 bedroom 2 bathroom models offer an economical value and a plenty of room for the whole family. All three bedroom models feature an open Living/Dining/Kitchen area providing plenty of room for hosting parties or gathering with the family for dinner. Tower 155 also offers expansive 3 bedroom, 3.5 bathroom suites ranging around 2,400 total square feet. The penthouse units offer the very best in luxury, a powder room, expansive outdoor terraces and beautiful views of the Atlantic Ocean. The building at Tower 155 is being constructed with a modern art-deco theme in mind featuring large open spaces, a two story lobby and greeting area, and an urban landscaped rooftop deck with pool, hot tub, and bar/lounge area. For the fitness conscious in your family, Tower 155 has a fully-equipped state of the art fitness center, yoga room, and swimming pool. Each resident can also enjoy a secure parking garage with controlled access, three high speed elevators, and high speed internet access throughout the building’s common areas. Building staff provides 24-hour security and video surveillance as well as concierge services. All building services and features are accessible via smart phone 24 hours a day. Other common areas include a business center, conference area, and club room with state of the art A/V equipment for entertaining your guests. Tower 155 is in Boca Raton, a hotbed of luxury living in South Florida. Dubbed the 11th “Most Livable City in America” by 24/7 Wall Street Online. Don’t miss your chance to live in one of South Florida’s fastest growing and most exclusive neighborhoods! Tower 155 is in close proximity to boutique shopping and fine dining establishments in its Mizner Park neighborhood. you’ll be just minutes from major highways and access to South Florida’s airports. It’s also home to Florida Atlantic and Lynn University, giving the area a young and vibrant energy. To view the outside of Tower 155, you can visit it at: 199 E Boca Raton Rd, Boca Raton, FL 33432. You’ll likely need to set an appointment if you want to see the members-only sections. You can contact The Luxury Team to learn more about viewing these units. How do I learn more about these condos? The real estate agents at The Luxury Team can help you learn more about any of these floorplans. Call us today.